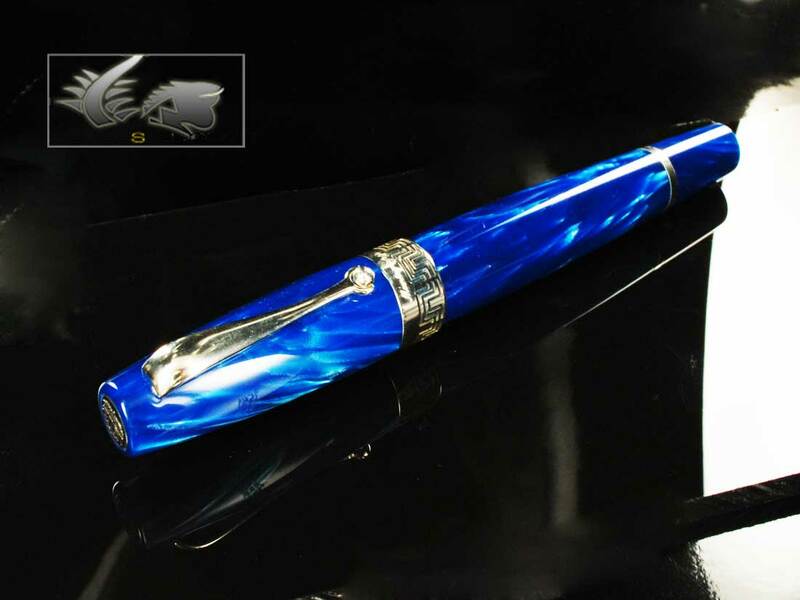 Iguana Sell Pens | Montegrappa Miya Fountain Pens – Excellent Celluloid! 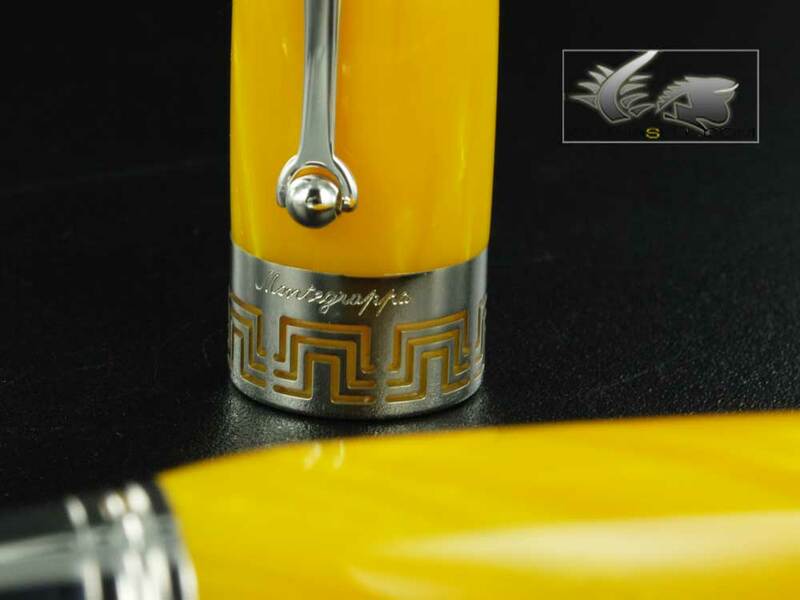 Montegrappa’s high quality celluloid is always a treat to the sight! The amazing effect of the reflections of light it creates and the marble-resembling look, makes it a material worthy of the gods. Without a doubt, any pen made with Montegrappa’s celluloid is bound to be a fantastic pen regardless of its finish or design. Montegrappa Miya Pens are made with this high quality celluloid and the colors they come in (red, blue, dark blue or yellow) give them the aspect of true jewels. These pens are finished with a very smooth curved body. The pen is thicker towards the middle, and gets thinner on the ends. This allows for a better balance in holding and writing with the pen. This curved form, both in the body and cap, also gives the pen a smooth and flexible character. The design is built upon the standards of beauty and harmony. The central ring is decorated with a traditional Greek pattern, as well as the two-color 18K gold nib. The clip continues the curved sensuality of the pen and comes with the characteristic Montegrappa rolling ball. Clip and trims are finished in sterling silver, another high quality material for this beautiful pen. 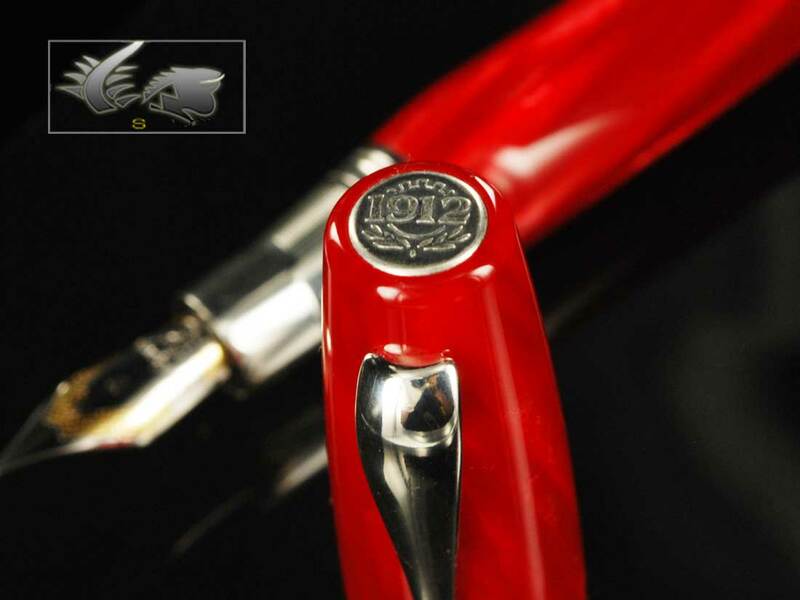 On the top of the cap, you’ll find “1912” the year Montegrappa was established on the common silver plate. The grip section also comes in sterling silver and adds an additional brightness to these pens. 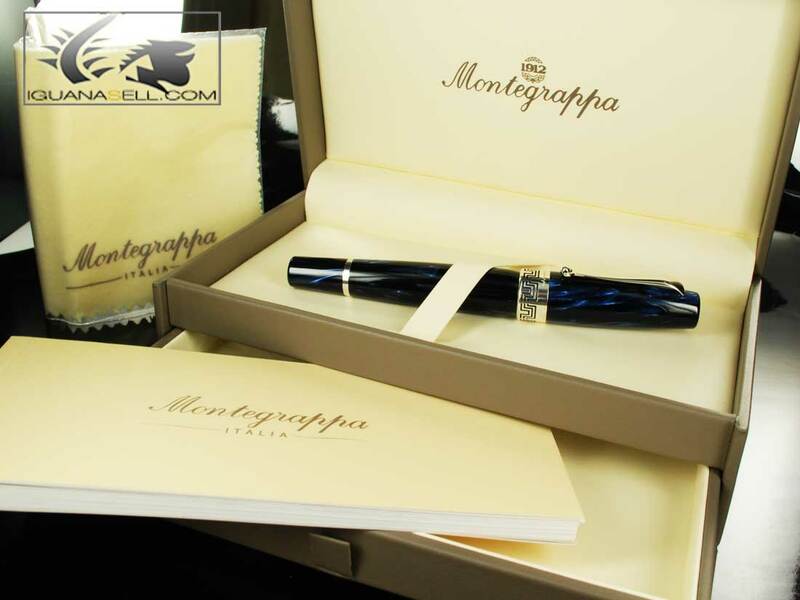 The Montegrappa Miya series includes fountain pens, rollerball pens and ballpoint pens (with twist-action mechanism), and can be found in four amazing celluloid finishes!